I truly love what I do. Getting to know my clients on a personal level always helps me to connect with them and create those images that I know capture their personalities and love. I can say that my relationship with Brittany, Tim and their families have taken getting to know someone to a whole other level. 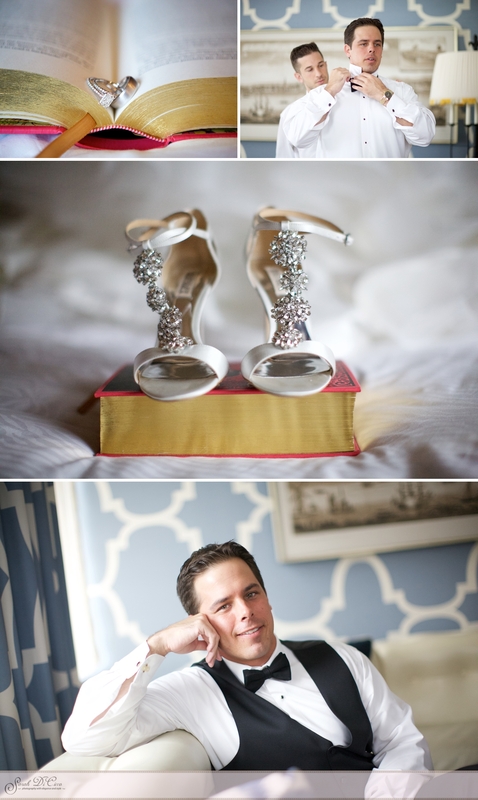 Yes their wedding was beautiful and the details were perfectly executed, but that’s not what stood out to me about this wedding. It was the couple. • A photographer who is as fabulous as YOU…that’s who! Booking you was the best decision ever. Heart is so happy and mind is at ease knowing we’re in the most amazing hands imaginable with you by our side. Definitely will connect soon…you’re a doll! 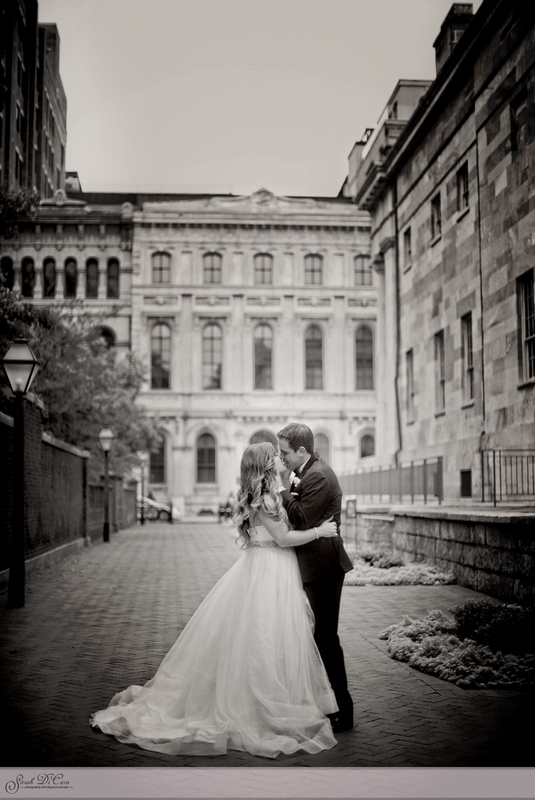 • Philly Wedding Mag PIC OF THE WEEK?! GIRRRRLLL! You KNOW I’m dying! I effing love you SO much!  You freaking amazing human, you! Made my DREAMS come true! Sending virtual smooches…like more than you know! • THANK YOU for continuing to make our hearts smile so big…you’re the most special thing! Brittany’s style and taste (man does she have taste) really shown through on the day she married Tim. Tim and Brittany’s love for each other really stood out at their first-look. So much so that the image of them seeing each other for the first time was featured online, in Philadelphia Wedding Magazine. She worked with Ceschaphe’s culinary Artist to create her stunning wedding cake and I had time to talk to her grandfather to see where she really gets her sense of humor. I can honestly say that I never heard comments like that at a wedding before. 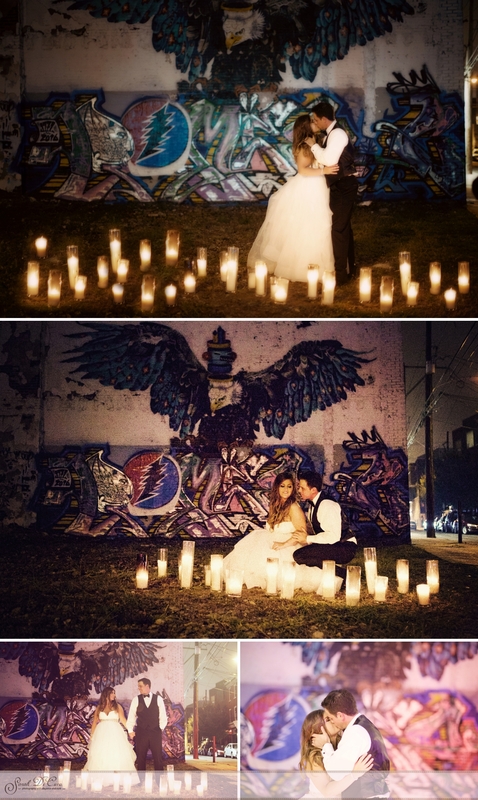 At the end of the night, when everyone was saying good night, We were not quite ready to leave, so Tony and I set up candles down the street in front of a graffiti covered abandoned lot and created some really unique images. Then, just like it started, the night came to an end with about 15 minutes of hugging and talking with family before leaving. I am so grateful to Brittany, Tim and their family for allowing Tony and I to feel so included and to capture such precious moments. I know this is only the beginning and I will be photographing the next generation of moments, love and friendship. To view the client slideshow and more images from this Cescaphe Ballroom, Philadelphia Wedding (click here).